PUBG mobile is one of the most popular game for mobile devices. 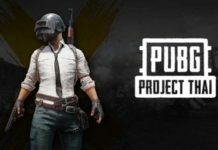 PUBG mobile has broken all the records and became the most downloaded game of 2018. It is 3-4 times huge than its PC version as it can run on any modern smart phone, you don’t always need a high-end device. With such huge popularity, PUBG users are playing the game endlessly and most of its user base is addicted to PUBG. There have been several cases where PUBG has been affecting peoples lifes. Like a gym trainer lost his mental imbalance while continuously playing PUBG for 10 days. To limit such cases Tencent has came up with a health reminder feature. You might have about this health reminder feature for PUBG Mobile. This feature lets you play PUBG mobile only for 6 hours (Which is good). Once you have completed your six hours you can’t enter the lobby and you will be stuck with this message. Now your account will be unlocked the next day at 5:30 am. If you play PUBG too much then you should definitely limit your playtime. But in case if you want to access PUBG mobile after the time limit then you can follow the below methods. Now you can easily bypass the PUBG six hours restriction using a VPN app. First, close PUBG mobile from running in the background. You can long tap on PUBG mobile app and go to app options. Here you will find an option to force close the app. Once the app has been closed from background open play store and search for Hotspot shield and install it. Once hotspot shield has been installed, launch it and sign up for a free trial. 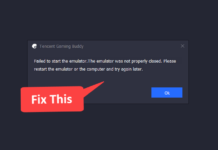 Connect to any hotspot shield server and minimize it. 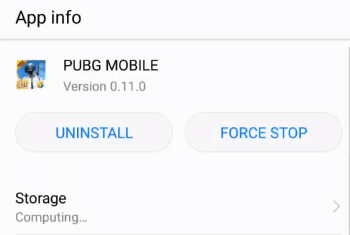 Now launch PUBG mobile and you can play PUBG mobile without getting any health reminder error message. Note- Since we are using a VPN you might get some ping issues. This is a very simple trick, but it might get fixed in the future update. 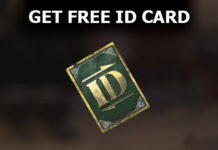 All you have to do launch PUBG mobile. Now you will be stuck with the heath reminder restriction. Ask your friend to send you game request to add you in their team. You will receive the request in background, accept the request. You will be still on the health reminder restriction page, but you have joined their team. Now ask them to start the matchmaking and now you will enter the match and you can play PUBG mobile. 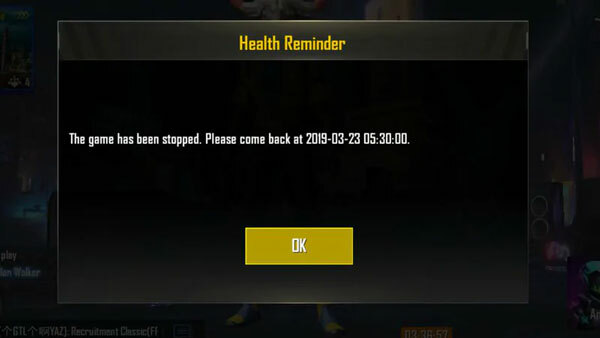 These were some simple tricks to fix PUBG mobile health reminder. Let me know if you face any problem in the comment section. Also try to avoid playing PUBG mobile for more than six hours.